"Takes care of your loved ones in the Philippines while you are away from home"
"Hungry for a BIG deal? Grab USP!" From the PHILIPPINES… to millions of Filipinos WORLDWIDE, comes The Exclusive Care Program, the first and truly remarkable healthcare protection package intended for your loved ones back home. Sure that wherever you are or wherever you may be, health wise you are protected. But how about your loved ones in the Philippines? Are they? In times of sickness and accidents, your loved ones are protected with this healthcare package that includes hospitalization and consultation benefits, life and accident insurance coverage, dental services, with add-on benefits or enhancements for dreaded disease coverage and NIRVANA or burial assistance. Enroll your loved ones to Exclusive Care Program today and experience peace of mind. Sign them up now! Described as not very impressive, the current state of healthcare is a challenge to those who care. We catch glimpse of people dying and not being able to go to the hospital. We catch sight of children struggling between food and medicine. True enough, having a healthcare program in the Philippines is more of a privilege than a right. Hence, this challenge is too urgent to permit complacency. 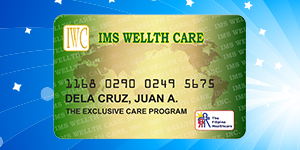 As a potent instrument for meaningful change, IMS Wellthcare Inc. launched a unique program providing for healthcare coverage of the dependents of offshore Filipinos who are residing in the Philippines. 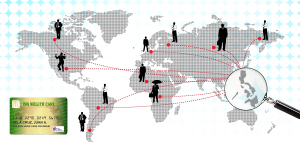 At present, millions of Filipinos live overseas, either as workers or residents. While they send money to their loved ones back home, the benefits of securing healthcare coverage are more often than not, NEGLECTED! ERASE YOUR WORRIEs NOW! The Exclusive Care program of IMS Wellthcare is now available. As the program calls for the overseas and global Filipinos to sponsor the healthcare program of their loved ones residing in the Philippines, we made it possible to reach out to them through the secured ONLINE SUBSCRIPTION. With the facility on hand, all offshore Filipinos, wherever they maybe in the world, can now provide their families and relatives the much needed healthcare protection that every Filipinos deserve. Get the ECP advantage now!